The DT640 Utility Crawler is the most versatile inspection vehicle of its kind. 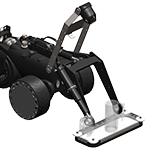 The sleek, three-wheel submersible comes with a magnetic option, creating the ideal vehicle for an array of underwater work. 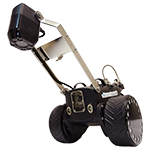 Compact for transportation and extremely portable, the Utility Crawler has been designed to launch immediately from any location and, with the efficiency of internal batteries, they can provide up to 8 hours of work in a single 1.5 hour charge. 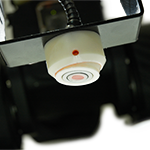 Work underwater up to 50m, all with live video streaming to the surface. 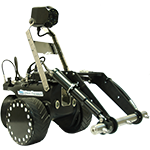 The Utility Crawler is your go-to tool for a multitude of remote inspections, with application-specific add-ons for pressure washing, vacuuming, thickness testing, and more both above and below the water. 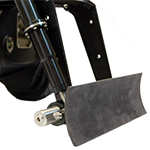 Skidless steering and zero turning radius allow the DT640 utility crawler to manoeuvre in tight areas and on tough surfaces. Rare earth magnets allow the DT640Mag to climb in almost any direction on ferrous materials.